Description: This October, Old Town Pasadena cuts back from its usual two-day celebration of Halloween to a single night of trick-or-treating on October 31. 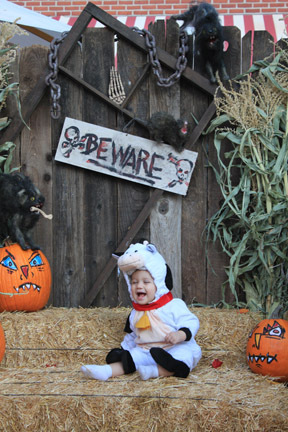 Starting at 5pm, families are invited to bring their costumed kiddies and canines to One Colorado for a family portrait and store-to-store Trick-or-Treating, receiving a variety of treats from participating merchants. At 7:30pm, there is a screening of a family-friendly spook show, the 1967 monster mash-up, Mad Monster Party, featuring stop-motion versions all of your favorite classic monsters. November 8, 2017 Steve Biodrowski, Administrator Comments Off on Three musical alien adventures invading L.A.